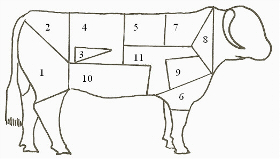 The succulence and flavour that Longhorn beef provides, is due to the intra-muscular fat or ‘marbling’ within the meat. To further enhance the mouth-watering taste, the cuts of beef (1-5) are hung for a minimum of two weeks before butchering. 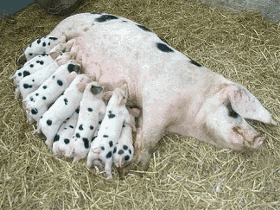 The proper, old-fashioned, true flavour of traditional pork has been sacrificed over the years as supermarkets have encouraged farmers to keep/rear faster growing and significantly less tasty breeds of pig. Our native breed, free-range pork is succulent, full of flavour and with good old fashioned crackling. For current prices please see the link to the list at the top of this page. 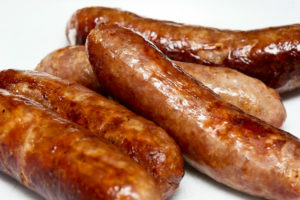 We also do a range of speciality sausages which changes regularly. We will update the list below to reflect our current range. All speciality sausages are currently £9.99 per kg. All our venison is obtained from deer grazed at Spinney. Lamb is available from the Farm and at Burwell Farmers’s market on the second Saturday of every month. Half lambs available to order for collection in season. Please call or email, limited lambs available. Price and availability subject to change. For further information, or to place an order directly with the farm, please contact us using the link at the top of this page.